Whether you think these omissions are intentional or not, there are certain things guys forget to mention in an online profile. I recently stumbled across a Cornell University poll on online dating. 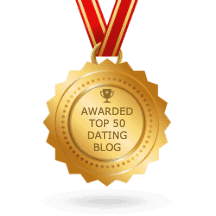 One of the biggest numbers that jumped out at me was 80% – the number of online daters who say they have lied on at least one dating website. These lies vary from shaving off a few pounds to completely falsifying their age. Let’s take a few moments to go over the most common fibs you’re likely to see. Some are mildly harmless, while others are definitely cause to forget the dude altogether. A guy is as likely to lie about his weight as a woman is, but probably not in a way that would cause you to notice if you met him. He will put a flattering picture of himself on his profile that is a few years old – you know, before he packed on those additional pounds. My advice is if you meet him for lunch and he’s a serious 25-30+ pounds over what he claimed, then you may want to avoid that second date. That’s a whale of a fib and he’s probably got more up his sleeve. Sorry, but airport layovers don’t count as travel destinations. All the same, it is not stopping your new friend across the table from saying he’s been to half the states in the continental U.S.
Guys always feel they have a lot to prove when it comes to their jobs and income. In fact, he’s as genuinely concerned about his job as he is about his appearance. Chances are he’ll add in an important-sounding title, something like “Co-Director of Marketing,” when in fact he’s working an entry level gig for 30 G’s a year. And unfortunately, unlike his weight, you can’t tell on a first date whether his profile is telling the truth or not. Alternatively, he may be more interested in a relationship than he claims. It’s very difficult to tell right away what a guy’s true intentions are, especially after just one date. Luckily, with the advent of a huge number of specialized dating websites, this isn’t as much of an issue as it used to be. If a guy wants a friend with benefits, he’ll hit up AshleyMadison.com. If he’s looking for long term, he’ll probably jump on eHarmony. My suggestion is that you trust what the guy says on his profile page unless he does something to convince you otherwise. This lie happens quite a bit, and again, it can vary from a couple of years to a decade. Some guys age well and you’d never notice the difference. Other times you’ll be expecting a 25-something and get an obvious 40-something. I wouldn’t hold it against you if you walked out right there in that case. But if you’re looking for something casual and he looks about the age that he claims he is, then you shouldn’t worry! Back to that Cornell University poll I mentioned earlier. Chances are 8 out of every 10 profiles you visit will have lies on them. But that shouldn’t deter you from online dating. Men, just like women, want to put their best foot forward on their profile page. If magically “losing” 10 pounds and “gaining” an inch or two of height is what he thinks it takes to pick up a great girl, then, well, let’s just say it’s not as bad as lying about a murder conviction or his stint at the state penitentiary.